With a population of over 120,000 High Wycombe is a large town in the southern English county of Buckinghamshire. Capital city London is a short distance away, making property in High Wycombe very much in demand. At My Home Move Conveyancing we have been improving our knowledge and understanding of the local market in High Wycombe since 2002, allowing us to bring our clients in the area a specialist, fixed fee conveyancing service. You must instruct a lawyer to carry out the legal work on your behalf when buying or selling property in High Wycombe. 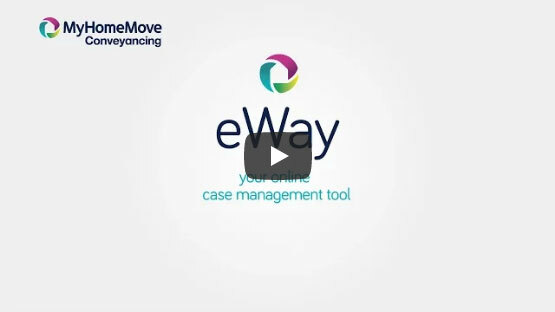 Choose My Home Move Conveyancing to be your High Wycombe conveyancers and you’ll receive the benefits of our award winning customer service, innovative use of technology and knowledge of the local market. Our conveyancing service comes for a fixed fee, and as there are no hidden extras to worry about, you’ll know exactly how much you’ll be paying right from the start. Additionally, if you don’t end up moving, you won’t need to pay us a penny in legal fees. Each of our clients have a dedicated conveyancer assigned to them, who will look after your case from start to finish, and we are open seven days a week. My Home Move Conveyancing are proud to provide our conveyancing services in High Wycombe to homebuyers looking for everything from apartments in the town centre to contemporary family homes and semi-detached Victorian properties. The average house price in Buckinghamshire is £330,156, while the overall average sale price in High Wycombe over the past year was £287,832. Flats were involved in most sales, going for an average of £188,255, while semi-detached properties went for £304,691. Terraces averaged at £288,831, and detached properties at £462,434. High Wycombe has a long history as a mill town, while it has held a market in the High Street since the Middle Ages and was also once known as the English furniture capital. The modern town has plenty of amenities for its residents to take advantage of, such as the Eden shopping centre, yet High Wycombe is surrounded by swathes of pretty countryside. The town benefits from its strong location, close to London, which very much contributes to the relatively high property prices in the area. High Wycombe is a great option for commuters to the capital, offering rail services that take less than half an hour to reach London Marylebone station. The M40 motorway passes to the south of town, connecting High Wycombe to the M25 ring road and Birmingham to the north. The town is also conveniently situated just 20 miles by road from Heathrow Airport. There is a range of excellent schools in High Wycombe that add further value to the area, with primary options including St Paul’s CofE, the Downley School and Oakridge School. Choices at secondary level include the Royal Grammar School on Amersham Road, Wycombe High School and Highcrest Academy. All properties in High Wycombe will fall within one of the following council tax bands.